Working with other attorneys - LMAW, P.A. We are proud to partner with law firms from all over the United States and gladly accept referrals. We provide our referring attorneys the maximum referral fees permitted by the Florida Bar. Firms focused on general personal injury prefer to refer their maritime matters to us, to a firm that is focused exclusively on admiralty and jones act cases, and has the knowledge and experience to get the absolute best result possible in this very specialized area of law. Lipcon, Margulies, Alsina & Winkleman, P.A. has over 100 years of combined experience filing claims on behalf of injured cruise ship passengers and seamen. Since 1971, it has been our mission to provide unparalleled service, recovering over $200 Million on behalf of our clients. Our maritime attorneys are the go to resource for new stations seeking expert advice, when there are accidents at sea. We have been featured on national news over 80 times, —providing insight and opinions on major issues of the cruising industry including crewmember deaths, missing passengers and overboard persons. From appearances on CNN to the Today Show, Nightline to the O’Reilly Factor, our firm continues to provide the expertise that only a highly specialized firm can provide. These acknowledgements speak to our strong history of success, and the high level of expertise we bring to every case. When you choose to work with us, our victories become yours. Attorney referral networks recommend the legal team at Lipcon, Margulies, Alsina & Winkleman, P.A. because of our experience and track record in practicing maritime and admiralty law. The cruising industry shows no signs of slowing down, which means that accidents and injuries will continue to take place at sea and experienced legal insight will become increasingly necessary. 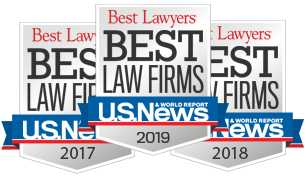 Fortunately, our attorneys remain on top of the latest developments in the industry, bringing up-to-date and relevant knowledge to every case, so that our clients receive the highest quality results possible. Located in Miami, Florida, our firm is strategically placed at the heart of the cruising industry. The port of Miami welcomes more than 13 major cruise lines, including Carnival, Costa, Norwegian, Disney, Royal Caribbean, MSC, Azamara and Celebrity, many of which we have successfully held accountable for their negligence or wrongdoing. Most cruise ships dictate that cases against them must be filed in Florida. Lipcon, Margulies, Alsina & Winkleman, P.A. has established relationships with local industry professionals and regularly litigates in all of the Florida courts, as well as many other states including Washington, New York, and California. Simply put, we are perfectly positioned to handle cruise ship injury cases across the country and around the world. If you have a case you would like our firm to assist you with, please contact us. We would be happy to work with you. How to Contact Lipcon, Margulies, Alsina & Winkleman, P.A. Lipcon, Margulies, Alsina & Winkleman, P.A. readily accepts referrals. You can contact our firm by calling us toll-free. Our office is open Monday through Friday from 9 a.m. to 5 p.m., EST. We would be glad to discuss a case with you to provide cutting-edge legal advice, so that your client can achieve the resolution they deserve.